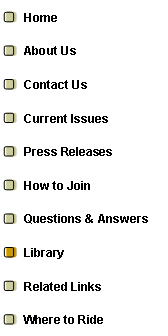 Resources library on starting OHV parks, trail building resources, OHV Management Guidelines riding schools, sound, RPT, webinars, workshops, digital media, grants, club start up, state associations, and topic libraries. Type 1 is highest quality and more expensive. Type 2 is less expensive and is what most clubs and enforcement officials use. Extech model 407736 is the brand the AMA supplies to clubs under grants. Property line sound surveys require Leq measurement capability and is only available in the more expensive meters.